In Indoor Air Quality is a growing concern. Impacting health, comfort, and well-being, problems may stem from any combination of factors. Each home has its own, unique set of circumstances. Considering that the majority of Americans spend approximately 90% of their time indoors, the air you and your family breathes is of extreme importance. By identifying pollutant sources, measuring contamination levels, and both developing and implementing proactive measures, 7 Services Inc. prevents and resolves air quality issues within your home. 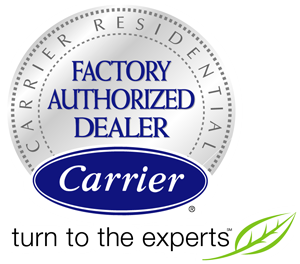 As a Carrier Factory Authorized Dealer, our NATE-certified technicians specialize in proven effective solutions to indoor contaminants. Through timely and accurate installation, we ensure the highest rewards from your investment. 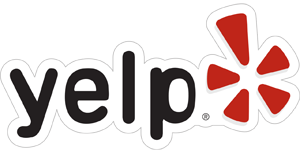 Improve your indoor air quality with our expert solutions! Home furnishings, such as cabinetry and furniture manufactured of pressed-wood products often release pollutants into indoor air. Pesticides, cleaning products, and hygiene products compromise air quality. The infiltration of outdoor contaminants such as particulates, vehicle exhaust, pollen, and humid air, as well animal dander, mold, adhesives, paints, and byproducts of combustion all contribute to less-than-ideal breathing air. It may be impossible to eliminate every source of concern, but making significant improvements is both simple and cost-effective. The incorporation of state-of-the-art air quality products both protects the health of your home and increases the efficiency of heating and cooling systems. When you trust 7 Services Inc. to handle your Indoor Air Quality, we’ll make sure you breathe easier, feel better, and enjoy superior comfort. Air Cleaners – Designed to capture and kill bacteria, viruses, mold spores, allergens, and other contaminants in the conditioned air, effective air purifiers go beyond simple filtration, purifying circulated indoor air up to eight times an hour. These systems work silently, efficiently, and operate even when heating and cooling is not activated. They are one of the most powerful tools in the fight for healthy air quality. Humidifiers – Relative humidity should be maintained between thirty and sixty percent. While people tend to ignore insufficient humidity, it can be problematic to health and damaging to home furnishings. Whole-home humidifiers infuse much needed moisture into the home environment, allowing superior comfort at lower temperature settings. You’ll feel better, breathe easier and enjoy improved energy savings. Dehumidifiers – Whole-home dehumidification protects comfort, health, and HVAC efficiency by removing excess humidity without overcooling, and safeguarding against the growth of mold, bacteria, and spread of allergens. When optimum humidity levels are properly maintained, you’ll feel cooler at higher temperatures, promoting energy savings without sacrificing comfort. Ventilators – Ventilation is crucial to improving air quality. As homes are tightened to promote energy-efficiency, the same stale air is trapped, recirculated, and breathed by occupants. By cost-effectively introducing fresh, pre-conditioned air into the home, the concentration of chemicals, carbon dioxide, and many other contaminants are reduced. UV Lamps – The sun destroys and deactivates biological and chemical contaminants in the atmosphere through specific UV wavelengths. UV lamps bring the same natural process into the home, installing into the HVAC system, and attacking harmful mold and bacteria before it has the opportunity to enter breathing air. For more information about Indoor Air Quality and Indoor Air Quality tester call 7 Services today!